Year 2017 has come and gone but the constitutional process is still grinding slowly through the Parliament. Due to the current all island elections to Local Bodies. the Constitutional process is on hold at least till April. Due to the unsettled political situation faced by the country anything can happen between now and April, 2018. The Interim Report submitted by the Steering Committee has generated heated debate for and against. Opposition leader R. Sampanthan in a recent interview to The Hindu said “We can’t despair, we can’t abandon things. When you take an overall picture of the situation, this is an environment conducive to the resolution of the issues pertaining to the Tamil people.” So let us exercise patience and wait one more year to see whether the process will be completed. A Steering Committee (SC) consisting of 21 members was appointed by the Parliament on April 05, 2016 to draft a new constitution with the Prime Minister as Chairman. The SC identified 12 main subject areas and assigned 6 of them to sub-Committees appointed by the Constitutional Assembly (CA). The Reports of the 6 sub-Committees were tabled before the CA on November 19 and December 10, 2016. The SC submitted its Interim Report on the remaining six subjects that were not assigned to any sub-Committees and contains the recommendations of all 21 members of the Steering Committee which represents the recommendations made in consensus by its members. The SC has also attached to it the individual observations of a number of political parties, which differ in various areas from the recommendations in the Interim Report itself. The Interim Report was debated in Parliament on October 30, 31 and November 01, 02 and 07, 2017. The Interim Report is based on the principle that the country will not be divided, but maximum possible power sharing can be done so that the national question can also be settled once and for all. Following debate on the Interim Report, the SC will then have to draft a final report, attaching the draft constitution and CA could potentially have several debates before the final report is drafted. After the final report of the SC, the CA will debate and vote on this draft constitution. If more than two-thirds of the CA Members approve the draft Constitution then it will be sent to the Cabinet of Ministers. If the CA Members approve by a simple majority, then Parliament has one month to vote by two-thirds for the draft constitution and send it to the Cabinet of Ministers. The Cabinet of Ministers will certify whether they intend the draft constitution to be passed only by a two-thirds majority or by two-thirds majority and a referendum. The Bill will then be published in the Gazette at least two weeks before it can be placed on the order paper of Parliament. If the Cabinet of Ministers certifies that the Bill is to be passed without a referendum, any citizen can, within seven days from the date the Bill is placed on the order paper of Parliament, petition the Supreme Court to ask for a direction that it also be approved by the people at a referendum. Parliament will then debate and vote on the draft Constitution. If a referendum is also required (either as certified by Cabinet or on the Supreme Court’s direction) it will be held after the Constitution is approved by Parliament with a two-thirds majority. As to be expected the Interim Report has generated heated debate among both sides of the divide for and against. Among subjects disputed are in respect of (i) The nature of the State (2) Giving Buddhism foremost place (3) Unit of devolution and powers of Provincial Councils. Sri Lanka (Ceylon) is a free, sovereign and independent Republic which is an aekiya rajyaya/orumiththa nadu, consisting of the institutions of the Centre and of the Provinces. Aekia rajyaya/orumiththa nadu means a state which is undivided and indivisible. Tamil nationalists claim Aekia rajyaya means Unitary State. Sinhala nationalists claim that Aekia rajyaya means Federal. The former President Mahinda Rajapaksa has described the proposals as a conspiracy to dismember the country. He claimed that proposals contained in the Interim Report are implemented, what we will be left with will be a fragmented Sri Lanka made up of nine federal states with a very weak central government. The reality is the people of the South are fearful of the word “Federal” and people in the North fearful of the word “Unitary.” So the SC has avoided the use of these words to avoid controversy. 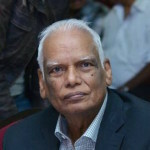 The Joint Opposition which gives voice to Sinhala-Buddhist nationalists and other pro-Rajapaksa forces opposes constitutional reform, and in particular, to further devolution and the abolition of presidentialism. The second formulation says while treating all beliefs with honour and dignity, and without discrimination, and guaranteeing to all persons the fundamental rights guaranteed by the Constitution. It is accepted a Constitution that gives foremost place to one particular religion cannot treat all its citizens equally. Only a secular constitution that will treat all citizens of Sri Lanka on an equal footing will be ideal. The Nepal’s constitution is now both secular and federal. The Steering Committee has proposed far reaching changes to the present Constitution. That the Province is the primary unit of devolution and the affirmation of principle of solidarity (specifically defined as ‘whatever could be handled by the lowest tier should be vested in it’ as the guiding principle in the allocation of competences between multiple levels of government. Such a devolutionary logic has never before been applied to power-sharing between the centre and the provinces in Sri Lanka, and as such represents a potentially radical new direction. This means the Kachcheri system will be abolished. One of the most important structural changes proposed by the Interim Report is the introduction of a second chamber to the national legislature. The second chamber would consist of 45 members elected by provincial councils and a further 10 members elected by Parliament. To retain the existing provision in the Constitution, that is, two or more Provinces forming a single unit with the additional requirement that a referendum of the people of each of the Provinces should also be required. The Constitution should not provide for merger. The Constitution recognizes the Northern and Eastern Provinces as a single Province. The Concurrent List should be abolished. There should be a National List (Reserved List) and a Provincial List. The governor should be appointed by the President as at present. Executive powers of the Governor should be vested in the Board of Ministers. The Governor should act on the advice of the Chief Minister. Tamils have missed opportunities in the past to secure self-rule within a united Ceylon. In other words a federal unit for the North and East combined. As far back as 1926, the Oxford educated SWRD Bandaranaike articulated in a series of lectures delivered in Jaffna the creation of Regional Councils and abolition of the Kachcheri system. The first lecture was on May 19, 1926. He said he was convinced that some form of Federal Government will be the only solution. However, the Jaffna Youth Congress opposed the idea. The Kandyan Chiefs who were the last to lose their independence declared themselves for a Federal Structure of Government in 1925. They pressed their claim before the Donoughmore Commission in 1927. They advocated the creation of three federal units, one in the Centre for Kandyan Sinhalese, one in the South for the low country Sinhalese and the third for Ceylon Tamils in the Northeast. Again they pressed their claim before the Soulbury Commission in 1945. Their claims were dismissed as not suitable for Ceylon. Ironically, the Tamils opposed the federal proposition when the Kandyan Sinhalese passionately stood for it. GG Ponnambalam argued for 50:50 before the Soulbury Commission, but it dismissed it as undemocratic. Instead of 50:50 why Ponnambalam did not ask for 60:40 or even 68:32 according to the population figures of 1946. Today, we have a historic opportunity for a better future by adopting new strategies and new thinking process. We must concentrate on the structure and content of the proposed constitution rather than bogged down about symbols. Eight hundred years old Magna Carta provided Britain’s reformers with a firm foundation, a cornerstone upon which subsequent constitutional documents were added and unwritten custom combined to give Britain’s “Constitution” today. The Magna Carta is seen by many as THE founding document for modern Western constitutional government. Likewise, the Founding Fathers of America sitting in sweltering heat and shrouded by secrecy–changed the course of history for America in 1787. The Constitution of the United States of America is the fundamental law of the U.S. federal system of government and a landmark document of the Western world. It is the oldest written national constitution which defines the principal organs of government and their jurisdictions and the basic rights of its citizens. It has stood the test of time undergoing only 27 amendments in 230 years though there were 11,000 attempts! The new Constitution for Sri Lanka, the fourth attempt in 70 years, should lay a firm foundation for lasting political stability, security and economic prosperity. Name one country in the world which abolished their existing Constitution and formulated a new Constitution based on the demand of a racist separatist minority which constitutes only 11% of the population, a majority of whom migrated from Tamil Nadu in the 17th Century to cultivate tobacco and later colonized Northern Sri Lanka? I wish to remind you Thanga, 76% of the population who are Sinhalese have already REJECTED THE FEDERAL CONSTITUTION pointblank. You may ask India to amend their Constitution to accommodate northern Tamils who are direct descendants of Tamil Nadu. You have forgotten to explain as to how your proposed new Constitution contributes to political stability, security and economic prosperity. The Federal Constitution is only a personal pledge given to TNA to garner Tamil votes in 2015 by pathetically desperate Ranil Wickremasinghe. Do you think Sinhalese will allow him to fulfill a personal pledge at the expense of country’s sovereignty, independence, national defense, maritime, aerospace interests and territorial integrity? Where did the Sinhalas come from: The Salagamas from Saligramam to peal cinnamon; the berayas from India to tap toddy, the Karawas from the Malabar coast to catch fish though they say they upgrade themselves as Kaurawas, again Indians.. Even the horrible myth of the buggery by the lion which spawned the Sinhalays speaks of an Indian lion.So the story goes. They proclaim themselves to be descendants of Indians. They also practice, imperfectly, a sort of Indian religion, adapted to violence by their kattadiays. The Tamils simply walked across the shallow Palk Strait to join with the native veddahs. Better send the Sinhalayas back to India where they came from so that the rest of Sri Lankans can have peace. Your own comment admits Tamils walked across the shallow Palk Strait. They are the people who should go back to where they come from. There is nothing wrong with the existing Constitution. Who do the think they are to change the Constitution? Devolution of power my foot. Mama Sinhalam: I do nit want to kill the meaning by translating it. In Sinhala we say, what you are saying is DUKATA KIYANA KATHA. If you will read an article entitled ‘In defence of the unity in Sri Lanka’ which was published in the CEYLON EXPRESS, your argument that Federalism is undesirable becomes ridiculous. Moreover, you are only speaking of the Tamils who were brought by the British. The Tamils have been living from time immemorial. If you understand what is Federalism and if you are in support of Federalism, please present your argument here. Name one Tamil who is a descendant of Tamils live here from time immemorial. I didn’t talk about Tamils brought by the British. I talked about Vellalas who were brought by the Dutch. They were the creators of Tamil caste system in the North. All high class wealthy Tamils live in Colombo and suburbs, not in the North. Vellala politicians who live double lives in Colombo are the people who want the Federal Constitution to gain power in the North to further subjugate poor people of other castes. They have been using Northern Tamils who live in untold difficulties as political hostages to gain power. Tamil politicians don’t want Northern Tamils to live better lives. They want to keep them in poverty. Poor, sick, infirm and miserable Tamils are the showpiece of Tamil politics. That is the truth. Tell me one practical action taken by Tamil politicians for the benefit of Northern Tamils. Fighting with the government to get lands in former Army held areas is only a hoodwinking. Anyways, those who live in strategically important locations will have to relocate one day which is inevitable. I know your knowledge on Federalism is zero. That article gives a clear picture that Unitary government cannot give a peaceful solution. The special features of Federalism is also given, which the Unitary form of government cannot provide. Unitary will only lead to a terror of the majority rule. You can read this article on CEYLON EXPRESS of December 2017. Read the conclusion..
Now Sirisena is playing a new tune using his henchmen for he has tasted the hot seat, and want to stay in it for ever. He has forgotten his pledge to the Rv. Sobitha – the person who created the common candidate – and to the people. He wouldn’t let the new constitution to raise up for it includes the elimination of the executive presidency. He lost all the credibility, and hanging on to the bond scam for his survival. His Commission is a show to throw mud at opponents, and wasted time and public money. He should have mobilised the law enforcement agencies to take action immediately after the COPE report instead of commissions and omissions. There is no orumithanadu in Sri Lanka. People who likes to have Orumithanadu can go to what ever place they like apart from Sri Lanka. We are better off than those people. If at all anyone should be deported it is the Sinhalayas. They came from diverse places. If you look at the cricket team of Sri Lanka, consisting of Sinhalayas who call themselves Aryans, they are so black that they could play for Zimbabwe or the West Indies. If we deport all the Sinhalayas who came from India, we will have peace in Sri Lanka. Then we can have orumithanadu. What a pathetic response. Why should Sinhalaya leave this country. We have legal documents showing we own this land. Do Tamils have such? Do not think you can intimidate us. We have been with you for the last 2000 years and we can do it for the rest of the time. When they go they should take their Demela brethren with them. What copies of Mahawamsa, Dipavamsa, Chulawamsa, Bothiwamsa, Dathuwamsa, Thupawamsa, …………. Horawamsa, …. No you are too stupid for that. Didn’t you realise that is exactly the problem. The discussion of the constitution came alive when during the previous govt when people were talking about why the politicians are too corrupt and that can be solved. Then the answer was it is the JRJ’s constitution. So, it constitution changes were needed to make the politicians accountable and to give them disciplinary guide lines to ask them how to behave. BOND Scam Ranil who wanted to give lichchavi malla type governing, one million jobe to people GOT MONEY FROM THE WEST (MCC HELPED CHANGE THE CONSTITUTION) AND FROM GLOBAL TAMIL FORUM. SO he wants to create Orumiththa nadu and say all the religions have the same powers. That is where it went wrong. We do not need a new constitution Pullstop. Itt is time to buddhists to be openly active. Tamils are over represented by Tamil politicians. It is unproportionate. Their number should be decreased. that is one way to bring political stability. It is no point of increasing Tamil politicians in order to meet the number of muslim politicians. Jim Softly, it is disproportionate not unproportionate. Why not confine yourself to writing in Sinhala Only? Fraternity assuring the dignity of the individual and the unity and integrity of the Nation’. The Indo-Sri Lanka Peace Accord also indirectly pointed out this subject. We have been struggling for the last 70 years to find a lasting peaceful solution. There is suspicion for the legislators and Buddhist clergies are prepare to accept the term ‘Secular’, ‘Liberty of expression, and belief’, and equality of status and opportunity? What is essential is a CHANGE. When there is uncertainty of a CHANGE like the other door being kept open by God, religious and political leaders shouls have faith in Federalism, the special feature of which will reduce the conflict between diverse communities like in Switzerland and Canada, India, USA, etc. Moreover, the nature of man is changing, belief is changing, idea is changing and government is changing. For instance, Canada is accepting a good number of immigrants from all over the world and accepting CHANGE and diversity. Likewise Sri Lanka can follow for the country’s progress and change the model of government to Federalism. Change is the base of everything. They will also realize that the prime function of Federalism is to unite people living in different Units. Dictatorial interference from any section will not allow any progress in any field. More than a Unitary government, unity among the people is vital. Who told you the prime function of federalism is uniting people living in different units? 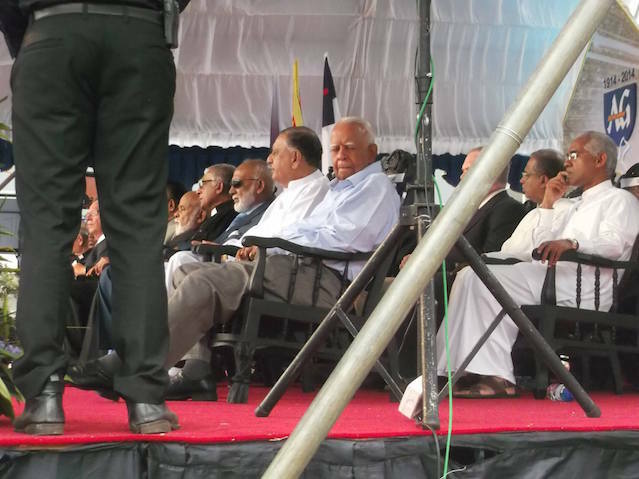 Ranil or Sampanthan? I am surprised to see how easy it was for them to mislead Tamils. What I don’t understand is what is this lasting peaceful solution Tamils are talking about and for what? Ayathurei Rajasinghe: YOu need to accept that Sri lanka is a Democratic country. So one vote one individual. So, what Majority speaks is the right thing whether you like it or not. Equality has a relative meaning.In Tamil eelam, it would have been a different meaning. It is claimed her that between 2004 and 2014, Rs 1 Trillion of foreign loans and grants has gone down the drain. The constitution must forbid such big big big drains. The word ‘Demala’ is the term used by Sinhalese to refer to South Indian invaders. Although Sinhalese fought against South Indian invaders to prevent the country becoming a part of South Indian empires, they lived in harmony with ‘Demala’ and ‘Moors’ who lived in Sri Lanka. Sinhalese even accepted ‘Demala’ kings who became Buddhists and they did not destroy Hindu Kovils after invading ‘Demala’ kings were chased away. The harmony prevailed between different communities started to deteriorate after the colonial bastards from the west came to Sri Lanka. British colonial parasites are responsible for ruining the harmony completely and promoting the rift between different communities. ‘Demala’ racist politicians like Chelvanayakam, Ponnambalam wanted to take advantage from that situation and further promoted the hatred among ‘Demala’ people towards Sinhalese for their political survival. Now racists Vignashwaran is doing that job. Sinhala people have no problem in giving Justice, Liberty and Equality to low caste Demala people which comprise the majority to whom Justice, Liberty and Equality denied by Wellala Demala people. Although Wellala politicians ask for more powers, low caste Demala people in the North have objected to giving land and police powers to NPC. We have to ask the question ‘Do we respect the views of the majority of Demala people or a small group of High Caste Demala people who are only interested in protecting their vested interests and subjugate low caste Demala people. Why Tamils want ‘Thamil Eelam’ in Sri Lanka where there are only about two million Tamils scattered all over the country while there are about 60 million Tamils in Tamil Nadu which is the real hameland of Tamils. (There is no country without Tamils. There is no country for the Tamils) is a saying in Tamil that vividly illustrates the angst felt by the more nationalist sections of Tamils about the lack of a country of their own – an Independent sovereign self-governing Tamil state! The southern Indian state of Tamil Nadu meaning Tamil Land or Tamil Country is home to more than 60 million Tamil speaking people. It stands to reason therefore that if the Tamils do want to establish a separate state of their own, the best and correct choice would be for Tamil Nadu to declare independence and secede from the Indian union.